Big Data is the latest tech jargon to cause grief in the industry. As CIOs we are often charged with explaining it and implementing it. Far too often Big Data is baffling and often misused in business. 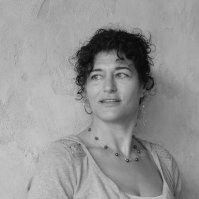 Gili Keshet-Aspitz has over 20 years of experience providing counsel to various startups and high tech leaders in marketing, strategic planning and management. She has written a wonderful article on business analytics. Please see below. Big Data is a big name, all too often baffling and misused, yet we can not ignore the fact that in recent years, business users are flooded with available data – more varied and more complex than ever before. This data incorporates a wealth of valuable business information, some obvious and some hidden in various inter-dependencies. Traditional analytical tools, from Data Mining, to Data Visualization, slice and dice this data to provide all sorts of reports. However, as fast and graphically appealing these reports have become, we see a growing chasm between the needs of business users, and the value delivered by these tools. As a result of this ever-widening gap, only a fraction of potential business intelligence users in the enterprise, actually utilize BI solutions. Whether regarded too complex to use, or too vain to trust, the majority of would-be consumers for valuable business information, opt to stay away and leave it to “the experts”, the analysts. This dependency on analysts creates a taxing bottleneck that raises a key question in today’s business intelligence market: How could we connect more business users to the information cycle in a cost effective manner? In other words, how can we allow business users to benefit from valuable available data, by making it more accessible to the masses? So what’s missing in today’s analytical tools? Traditional BI tools provide a broad, high level view of the business. The better ones, allow all sorts of drilling-in to create an impressive set of reports, presented graphically with colorful charts, tables, and maps. Alas, what these tools are missing, is focus. Many users can’t see the forest for the trees and definitely cannot tell where are the highest priority issues, relevant for every user in the organization. A new wave of narrowly focused tools, tried to address this excess of irrelevant information. These tools provide a restricted view, focusing on a single area of interest. Concentrating on a specific field, insights generated by these tools are more actionable, though lack context and perspective as they view only a narrow sliver of the business. Both approaches require professional analysts to compile the information into operational insights before they can actually serve business decision makers in any useful manner. With traditional BI tools, analysts ought to provide the focus. With the narrowly focused tools, analysts ought to provide the context. On their own, both approaches create too vague a picture to rely upon. This dependency on analysts creates that troubling bottleneck I mentioned above, and leads to that notoriously low utilization of business intelligence. The solution lies in looking differently at the way business data is being analyzed. Instead of starting with all available data and slicing and dicing through it to provide a wide variety of views – by timeline, geography, sales, etc., a new method starts with common business processes and addresses typical questions in managing these processes. From the business process’ point of view, relevant information is being gathered and presented in an operational manner – focused and relevant, answering specific business questions and providing all needed context to understand the situation and immediately act upon it. The novelty of this approach is the amalgamation of business logic with all available data, to automatically narrow it down on a case by case basis and hone in on insights that are relevant for each specific process and every constituent involved in that process. The next inflection point in business analytics, brings vendors with deep domain expertise and knowledge of a market, to provide process-oriented analytical applications. Applications that on one hand, see” every bit of data that might affect their process, and on the other hand, show business users a narrow view that focuses them on relevant insights for their job and their role in the organization. The beauty of this approach is the independence it gives business users, to self serve their basic analytical needs. Analysts love this method, as it frees them to focus on complex, unstructured, and innovative tasks, which they rarely had time for when occupied with mundane, repetitive tasks of serving all business users. A win-win situation that significantly boosts performance in organizations. Gili Keshet-Aspitz has more than 20 years of experience providing counsel to various startups and high tech leaders in marketing, strategic planning and management. She has a strong technical background in engineering management, bringing products from concept to market. Gili has spent the last 4 years as the Sr. Director of Strategic Marketing for Verix, the leading business analytics solution for Pharma Commercial Operations. This entry was posted in C-Level Executives, CIO, IT Process and tagged analytics, BI tools, big data, CIO, Data Mining, Data Visualization, Gili Keshet-Aspitz, inflection point, IT, IT Process, technology, verix by Arun Manansingh. Bookmark the permalink. Excellent opinion and I couldn’t agree more. Good business intelligence analytics must start with knowing the questions that users/clients most frequently are asking. Then design from there.